Hi, I really enjoyed reading this post. HARP 2.0 will help many homeowners who have been unable to refinance due to being underwater. I want Fred and all of you to know that CitiMortgage is committed to helping as many people take advantage of this program as possible. I have tried several months now to get PNC to correct my annual homeowners insurance, PNC has my annual insurance for $1,022.00 I have documents stating my annual insurance is $847.50. The adjustment would reduce my monthly mortgage payment but cant seem to get anyone interested enough to listen they just keep taking from my escrow, My mortgage payment went from $407.00 monthly to $518.00. I was approved for the Home stabilty hardship program then denied because I MADE my house payment. I couldnt get anyone to listen or do anything for me, I applied again for the hardship program and was told NOT to make any payments until I here from my personal point of contact person, since then they are threatining me with foreclosure. I DO NOT want to lose my home. Who can I turn or talk to without going thru several people to get the right answer to save my home! 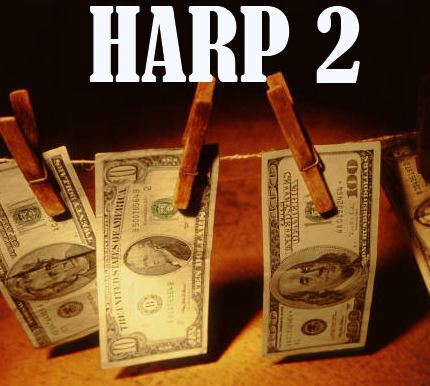 When will HARP 2 be available? Who will offer it? In September 2011, I tried to refinance with the original HARP program but could not because the appraiser valued my condo at only $170,000 even though three exactly the same condos in my 16-unit complex had sold for $275,000 – $285,000 from April – December 2010, and there were no other comparables. I purchased my condo for $360,000 in July 2007 with 20% down 6.25% interest so currently owe about $272,000 with all on time monthly payments. Zillow values it at $235,000, and SD County Appraiser values it at $278,000. I don’t have a current lender (Citibank was original lender) because Fannie Mae owns my mortgage and Seterus services it. Neither offers refinancing. Two of the condos in my complex were financed by Chase (w/o Fannie or Freddie) and were refinanced by the bank at lower interest rates without a required appraisal. Call me about Harp loans. I am in a 7 year ARM and the rate will adjust in August 2013. My husband and I can afford our payments but want to be locked into a lower interest rate so we don’t have to deal with a variable one next year and years after. I have talked to everyone possible for the past two years and no one will help because we are underwater and our loan is NOT owned by Fannie or Freddie. Any suggestions? Can you help us? My husband and I have a 7 year ARM. We were going to refinance in 2009 but obviously couldn’t with everything tanking. We are able to afford our monthly payment but want to get a lower interest rate. The ARM will turn to variable starting next August 2013. It will stay fixed for a year and adjust every August. I have talked to so many companies and no one will help because we are under water. Our loan is NOT owned by Fannie or Freddie either. I believe it’s owned by Deutch Bank. What do you suggest we do? Can we get some help eventually? 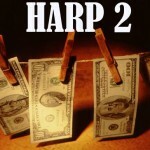 I looked at the CFPB site re: Harp2 after hearing about it on Suze Orman. I don’t see anything. We qualify for everything…….& we’ve never missed a payment, but I just know it’s gonna stick us in the gut when we have to show income. We’re self-employed & everything that is comin’ in is going out. That, and we have a 2nd mortgage (that we worked 7 mths with Chase & they won’t work with us).